I hadn’t heard of Lottie London until quite recently but they have very cute packaging and a wide range of nail polishes along with other products. If you saw my Superdrug Haul about two months ago then you will know that I got a few of their nail polishes. 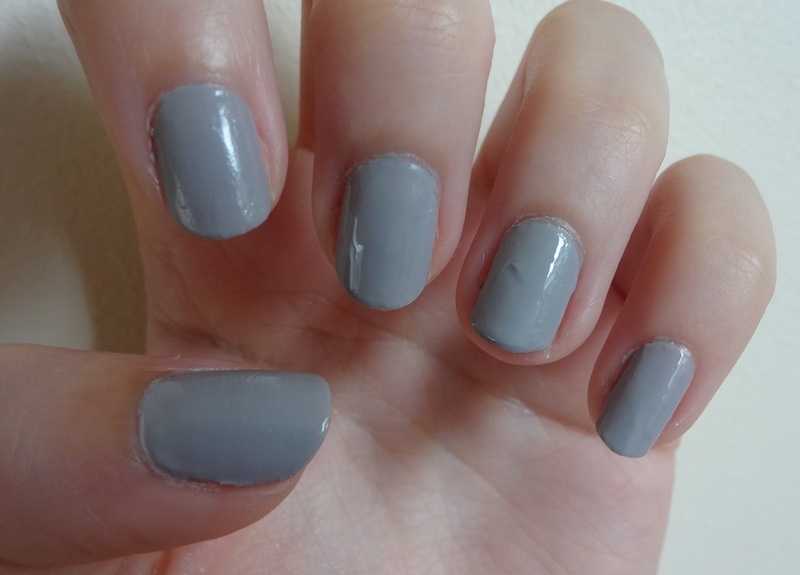 I got a dusty pink colour, a gel effect nail polish and a light grey colour. 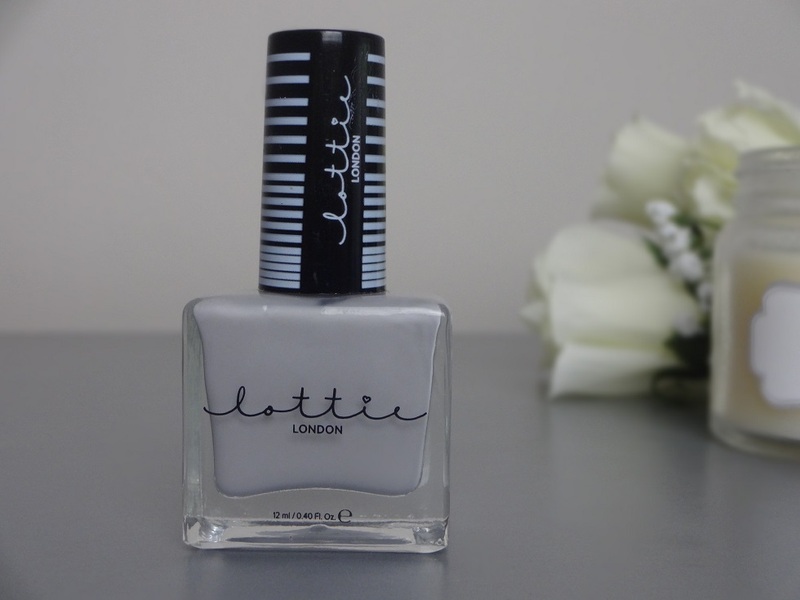 Today I will be reviewing the light grey colour called Classy Gal, although it is also a general review of the Lottie London nail polishes and their quality. So first off, just by looking at the bottle, I really love this colour. It is a great neutral colour that will go with almost any outfit and I feel the same about the dusty pink colour I got called Hit Refresh. The packaging is really cute and simple, and the bottle is quite big so you get quite a lot of product for your money (€5.35). I have used this colour quite a lot over the last two months and there isn’t even a quarter of the product gone. When applying this product, I noticed a negative aspect about it pretty quickly. Two coats definitely didn’t match the colour that you see on the bottle and I end up having to apply about five coats to get the right pigmentation for it to match the bottle. This makes applying this product pretty time-consuming because you need to apply the product and then wait for it to dry four or five times before your nails are done, and that is without applying a base or top coat. After applying the product, I noticed that the lasting power it has is pretty average for the price. It did chip fairly often especially when I was a work, but it could last a day or three at home without chipping. Since these nail polishes are only €5.35, I didn’t expect them to go weeks without chipping, although, if you use the gel effect nail polish on top, it does lengthen the amount time you can wear it without chipping. One of my favourite thing about these nail polishes is that they have such a wide variety of colours, both in glitter and matte, and they are a really affordable price. The fact that you have to apply so many coats of the product is annoying but I got used to it after a while. The first initial painting takes a fair bit of time but after that, the repainting the chips only takes two or maybe three coats. Overall, I actually did like this product, although it was mostly down to the colour which I loved. The quality could be a little better but you pretty much get what you paid for. The tonne of coats was a bit of a pain but the thicker you paint them, the less you have to do, although that adds to the drying time. Have you ever tried Lottie London nail polishes before? Let me know what you thought about them in the comments below. Also, If you liked this post, then make sure to love it on Bloglovin or give it a +1 on Google plus. I hope you are having a great day and I’ll talk to you soon. When I first bought this nail polish over two months ago, it was quite a watery consistency and that is why it took so many coats to look the same as the bottle. Since I’ve had it, it has sort of thickened up over time and now only takes about three coats to look like the picture above. Also, I noticed that if I apply it a while before I have a shower or if I’m cleaning with hot soapy water, it sort of peels off and I need to paint my nails again. So it is probably best to apply it after having a shower. This has only happened to me two or three times, so it doesn’t happen every time and maybe those times I mightn’t have waited for it to dry properly. I just thought I’d let you know in case this is a common thing with the Lottie nail polishes. Next Post How do I add tags to my blog on Bloglovin?